Are you looking for ways to help children become more confident? Handle everyday frustrations better? Bounce back from life’s challenges and thrive? Become resilient youths and adults? We are born with the capacity for resilience. But resilience is not something we have or don’t have. We work on it throughout our lives. And we need to start as early as possible. 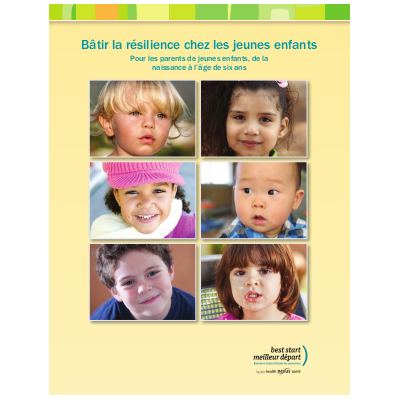 Parents and caregivers are the most important people to help build children’s resilience. The ideas and resources are based on research and have been tested by parents. The stories were provided by parents of young children. These parents hope that their experiences will help you and your family get through life’s ups and downs.